Sho-saiko-to may have liver-protective effects in some circumstances, but it may also cause serious lung or liver problems. Therefore, Sho-saiko-to should only be used in limited situations under the supervision of a doctor. Sho-saiko-to or “Xiao Chai Hu Tang” is a plant formula that is a mixture of 7 botanicals: Bupleurum root (Chai hu), Pinellia tuber (Ban xia), Scutellaria root (Huang qin), Ginseng (Ren shen), Jujube (da zao), Licorice (Gan cao), and Ginger (Sheng jiang). It is used in both China and Japan as traditional medicine to treat fever, gastrointestinal disorders, chronic liver diseases, and inflammatory conditions. In laboratory and animal studies, Sho-saiko-to appears to prevent liver injury, reduce inflammation, and stimulate or enhance immune functioning. However, only a few clinical trials have been conducted in humans. These studies suggest it may be helpful for some types of patients with hepatitis, but studies to confirm this are needed. In addition, there have been cases of serious lung or liver problems with the use of Sho-saiko-to. Therefore, it should only be used under the supervision of a qualified practitioner. The prescribing information for Sho-saiko-to does not recommend its use in patients with liver cancer due to risks for interstitial pneumonia, a serious and potentially life-threatening condition. A few studies suggest it may improve liver pathology in some patients with hepatitis. However, there are also reports of serious lung and liver problems with the use of Sho-saiko-to. Therefore, it should only be used in limited situations under close supervision by a qualified practitioner. Although used for these purposes in traditional medicine, human studies are lacking. Discontinue product and contact physician immediately if fever, cough, or difficulty and/or labored breathing occurs. Sho-saiko-to may cause a serious lung condition called interstitial pneumonitis, which can be potentially fatal. Use of interferon or low platelet counts may increase this risk. You are currently undergoing interferon treatment: Using Sho-saiko-to at the same time can increase the risk of interstitial pneumonitis, a potentially fatal condition. You have liver cancer or cirrhosis: Interstitial pneumonia may occur and cause death if not treated in its early stages. You have chronic hepatitis and low platelet counts. You are taking drugs metabolized by Cytochrome P450 enzymes: Lab and animal studies show that Sho-saiko-to can affect the blood concentrations of these drugs. One study in healthy humans also suggests it may interact with some drugs. Although clinical relevance has yet to be determined, patients should not use Sho-saiko-to without close supervision of a qualified practitioner. You are taking tolbutamide: In an animal study, Sho-saiko-to reduces the bioavailability of this drug. Although clinical relevance has yet to be determined, patients should not use Sho-saiko-to without close supervision of a qualified practitioner. Recurrent drug-induced liver injury: In a 67-year-old woman who received shosaikoto and saikokeishikankyoto extracts among other drugs on two separate occasions. Her condition improved after the discontinuation of all medications. Scutellariae radix as a component of both extracts were the suspected cause. Liver injuries and hepatitis: Various cases associated with Sho-saiko-to. Sho-saiko-to or “Xiao Chai Hu Tang” is a Chinese botanical formulation widely known by its Japanese name. It is a mixture of 7 botanicals: Bupleurum root (Chai hu), Pinellia tuber (Ban xia), Scutellaria root (Huang qin), Ginseng (Ren shen), Jujube (da zao), Licorice (Gan cao), and Ginger (Sheng jiang) (4). Sho-saiko-to is used in traditional medicine to treat fever, gastrointestinal disorders, chronic liver diseases (24), stomatitis, and oral mucositis (25) . In animal models, Sho-saiko-to inhibited hepatic necroinflammation and fibrosis (26) (27), prevented liver injury, and promoted liver regeneration (7). Other experiments show it can enhance various aspects of immune functioning (9) (10) (11) (12) (13) (14) (18). Preclinical studies also suggest antiproliferative effects in hepatoma and ovarian cancer cell lines (15). Morphological analysis of cells grown in the presence of Sho-saiko-to show evidence of apoptosis (6). In humans, a clinical study showed that Sho-saiko-to may improve liver pathology in hepatitis C patients who do not respond to interferon-based treatment (22). In older studies, Sho-saiko-to decreased serum AST and ALT values in patients with chronic active hepatitis (28) and appeared to reduce incidence of hepatocellular carcinoma in cirrhotic patients (5). However, the prescribing information for this product recommends against its use in patients with liver cirrhosis or cancer, or in patients with liver dysfunction/chronic hepatitis and a below-normal platelet count, and further indicates that patients should have a “moderately strong constitution”. Because its use is associated with interstitial pneumonitis (3), liver injuries (16), and hepatitis (17), Sho-saiko-to should only be used under the supervision of a qualified practitioner. Some of the ingredients, such as jujube, ginger, and licorice, are commonly found in Asian recipes. Preclinical experiments show that Sho-saiko-to may enhance various aspects of immune function including effects on natural killer cells (12), interleukins (9), interferon gamma (10) (18), and macrophages (11) (13). Its regulation of the cytokine production system may help to explain effects on disease progression, as Sho-saiko-to induced IL-10, an anti-inflammatory cytokine, while suppressing IL-4 and IL-5 in peripheral blood mononuclear cell cultures from patients with chronic active hepatitis (9). It is also a mild inducer of tumor necrosis factor-alpha (TNF-alpha) and granulocyte colony-stimulating factor (G-CSF), cytokines that play key roles in biological defense mechanisms (14). Animal studies suggest Sho-saiko-to may prevent liver fibrosis and preneoplastic lesions by inhibiting stellate cells (7), the activation of which has been identified as a main driver of fibrosis in liver injury (29). Fibrotic inhibition has also been attributed to Nrf2 pathway upregulation against oxidative stress (30). Sho-saiko-to regulates temporal gene expression in mouse hepatocytes by way of microRNA (23). In hepatocellular carcinoma and cholangiocarcinoma cell lines, antiproliferative effects were attributed to induction of apoptosis and arrest at the G0/G1 cell cycle phases (6). Sho-saiko-to may cause interstitial pneumonitis, a potentially fatal condition. Concurrent use of interferon (3) or low platelet counts may increase this risk. Patients should be carefully monitored and the product discontinued immediately if fever, cough, dyspnea, abnormal pulmonary sounds (fine crackle), or X-ray abnormalities are observed. Women who are nursing or pregnant. Patients receiving treatment with interferon preparations, due to risks for interstitial pneumonitis. Patients with liver cancer, cirrhosis, or chronic hepatitis and low platelet counts, due to risks for interstitial pneumonitis. Rash with fever, anorexia, nausea, diarrhea, or cystitis (4). Sho-saiko-to-related pneumonitis reported in 74 patients (approximately 1 in 20,000) (3). Recurrent drug-induced liver injury: In a 67-year-old woman who received shosaikoto and saikokeishikankyoto extracts among other drugs on two distant occasions. Her condition improved after the discontinuation of all medications. Scutellariae radix as a component of both extracts were the suspected cause (31). Liver injuries and hepatitis: Various cases associated with Sho-saiko-to (16) (17). Interferon: Concurrent use may increase the risk of interstitial pneumonitis (3). Drugs metabolized by Cytochrome P450 enzymes: In vitro and animal studies show that Sho-saiko-to upregulates CYP2B, CYP3A1, and CYP4A1 expression (19), and can interact with drugs metabolized by CYP2C9 (20). In healthy subjects, it reduced CYP1A2 activity (32). Although clinical relevance has yet to be determined, patients should only use Sho-saiko-to under the close supervision of a qualified practitioner. Tolbutamide: In an animal study, sho-saiko-to reduced tolbutamide bioavailability following concurrent oral administration (21). Clinical relevance has yet to be determined. Sho-saiko-to may alter aspartate transaminase and alanine transaminase (AST/ALT) values (16) (28). 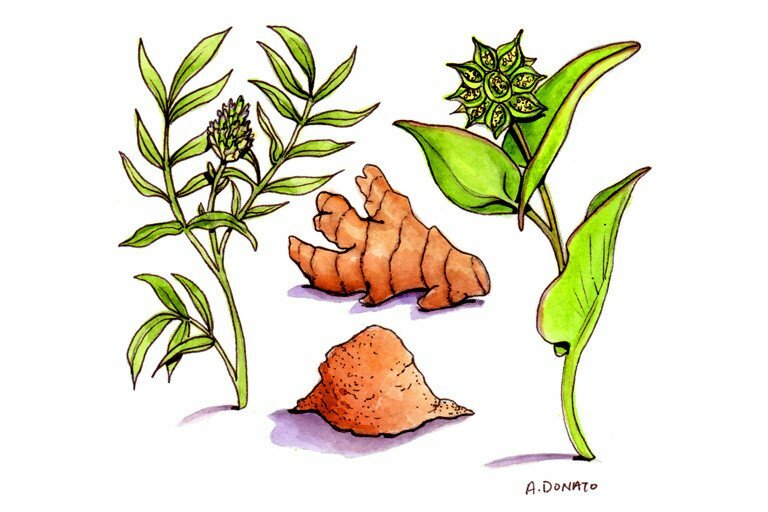 Bensky D, Gamble A. Chinese Herbal Medicine: Materia Medica. Revised Ed. Seattle: Eastland Press; 1993. Mizoguchi Y, et al. The effects of sho-saiko-to oninterleukin production by hepatic sinusoidal endothelial cells. J Med Pharm Soc 1989;6:172-6. Sato A, at al. Pneumonitis induced by the herbal medicine sho-saiko-to in Japan. Nihon Kyobu Shikkan Gakkai Zasshi 1997;35:391-5. Ikegami F, Sumino M, Fujii Y, et al. Pharmacology and toxicology of Bupleurum root-containing Kampo medicines in clinical use. Hum Exp Toxicol. Aug 2006;25(8):481-494. Oka H, et al. Prospective study of chemoprevention of hepatocellular carcinoma with Sho-saiko-to (TJ-9). Cancer 1995;76:743-9. Sakaida I, et al. Herbal medicine Sho-saiko-to (TJ-9) prevents liver fibrosis and enzyme-altered lesions in rat liver cirrhosis induced by a choline-deficient L-amino acid-defined diet. J Hepatol 1998;28:298-306. Yamashiki M, et al. Effects of the Japanese herbal medicine “Sho-saiko-to” (TJ-9) on in vitro interleukin-10 production by peripheral blood mononuclear cells of patients with chronic hepatitis C. Hepatology 1997;25:1390-7. Kakumu S, et al. Effects of TJ-9 Sho-saiko-to (kampo medicine) on interferon gamma and antibody production specific for hepatitis B virus antigen in patients with type B chronic hepatitis. Int J Immunopharmacol 1991;13:141-6. Fujiwara K, et al. Regulation of hepatic macrophage function by oral administration of xiao-chai-hu-tang (sho-saiko-to, TJ-9) in rats. J Ethnopharmacol 1995;46:107-14. Kaneko M, et al. Augmentation of NK activity after oral administration of a traditional Chinese medicine, xiao-chai-hu-tang (shosaiko-to). Immunopharmacol Immunotoxicol 1994;16:41-53. Nagatsu Y, et al. Modification of macrophage functions by Shosaikoto (kampo medicine) leads to enhancement of immune response. Chem Pharm Bull (Tokyo) 1989;37:1540-2. Yamashiki M, et al. Herbal medicine ’Sho-saiko-to’ induces tumour necrosis factor-alpha and granulocyte colony-stimulating factor in vitro in peripheral blood mononuclear cells of patients with hepatocellular carcinoma. J Gastroenterol Hepatol 1996;11:137-42. Zhu K, et al. Inhibitory effects of herbal drugs on the growth of human ovarian cancer cell lines through the induction of apoptosis. Gynecol Oncol 2005;97(2):405-9. Itoh S, Marutani K, Nishijima T, et al. Liver injuries induced by herbal medicine, syo-saiko-to (xiao-chai-hu-tang). Dig Dis Sci. 1995 Aug;40(8):1845-8. Hsu LM, Huang YS, Tsay SH, et al. Acute hepatitis induced by Chinese hepatoprotective herb, xiao-chai-hu-tang. J Chin Med Assoc. 2006 Feb;69(2):86-8. Kang H, Choi TW, Ahn KS, et al. Upregulation of interferon-gamma and interleukin-4, Th cell-derived cytokines by So-Shi-Ho-Tang (Sho-Saiko-To) occurs at the level of antigen presenting cells, but not CD4 T cells. J Ethnopharmacol. 2009 May 4;123(1):6-14. Nose M, Tamura M, Ryu N, Mizukami H, Ogihara Y. Sho-saiko-to and Saiko-keisi-to, the traditional Chinese and Japanese herbal medicines, altered hepatic drug-metabolizing enzymes in mice and rats when administered orally for a long time. J Pharm Pharmacol. 2003 Oct;55(10):1419-26. Takahashi K, Uejima E, Morisaki T, et al. In vitro inhibitory effects of Kampo medicines on metabolic reactions catalyzed by human liver microsomes. J Clin Pharm Ther. 2003 Aug;28(4):319-27. Nishimura N, Naora K, Hirano H, Iwamoto K. A Chinese traditional medicine, sho-saiko-to (xiao-chaihu-tang), reduces the bioavailability of tolbutamide after oral administration in rats. Am J Chin Med. 1999;27(3-4):355-63. Deng G, Kurtz RC, Vickers A, et al. A single arm phase II study of a Far-Eastern traditional herbal formulation (sho-sai-ko-to or xiao-chai-hu-tang) in chronic hepatitis C patients. J Ethnopharmacol. 2011 Jun 14;136(1):83-7. Song KH, Kim YH, Kim BY. Sho-saiko-to, a traditional herbal medicine, regulates gene expression and biological function by way of microRNAs in primary mouse hepatocytes. BMC Complement Altern Med. 2014 Jan 11;14(1):14. Rino Y, Yukawa N, Yamamoto N. Does herbal medicine reduce the risk of hepatocellular carcinoma? World J Gastroenterol. Oct 7 2015;21(37):10598-10603. Sunagawa M, Yamaguchi K, Tsukada M, et al. Kampo (Traditional Japanese Herbal) Formulae for Treatment of Stomatitis and Oral Mucositis. Medicines (Basel). Dec 10 2018;5(4). Takahashi Y, Soejima Y, Kumagai A, et al. Inhibitory effects of Japanese herbal medicines sho-saiko-to and juzen-taiho-to on nonalcoholic steatohepatitis in mice. PLoS One. 2014;9(1):e87279. Chen YW, Tsai MY, Pan HB, et al. Gadoxetic acid-enhanced MRI and sonoelastography: non-invasive assessments of chemoprevention of liver fibrosis in thioacetamide-induced rats with Sho-Saiko-To. PLoS One. 2014;9(12):e114756. Hirayama C, Okumura M, Tanikawa K, et al. A multicenter randomized controlled clinical trial of Shosaiko-to in chronic active hepatitis. Gastroenterol Jpn. Dec 1989;24(6):715-719. Hu R, Jia WY, Xu SF, et al. Xiaochaihutang Inhibits the Activation of Hepatic Stellate Cell Line T6 Through the Nrf2 Pathway. Front Pharmacol. 2018;9:1516. Li J, Hu R, Xu S, et al. Xiaochaihutang attenuates liver fibrosis by activation of Nrf2 pathway in rats. Biomed Pharmacother. Dec 2017;96:847-853. Shimada Y, Fujimoto M, Nogami T, et al. Recurrent Drug-induced Liver Injury Caused by the Incidental Readministration of a Kampo Formula Containing Scutellariae Radix. Intern Med. Jun 15 2018;57(12):1733-1740. Saruwatari J, Nakagawa K, Shindo J, et al. The in-vivo effects of sho-saiko-to, a traditional Chinese herbal medicine, on two cytochrome P450 enzymes (1A2 and 3A) and xanthine oxidase in man. J Pharm Pharmacol. Nov 2003;55(11):1553-1559.